Lindenwood University is participating in Giving Tuesday on Tuesday, Nov. 28, 2017. 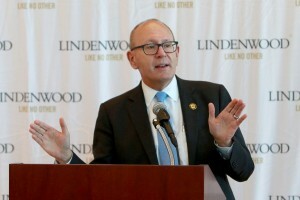 Lindenwood University in St. Charles, Mo., is launching a new full-tuition Presidential Scholarship to recognize academic achievement, community service, co-curricular involvement and leadership. 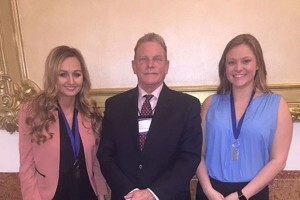 Two Lindenwood University students in the Robert W. Plaster School of Business & Entrepreneurship each won the top prize at the Collegiate DECA ENGAGE National Competition in New York Nov. 9-11. Savannah Bice and Monica Friedman were among 500 students taking part in the competition. 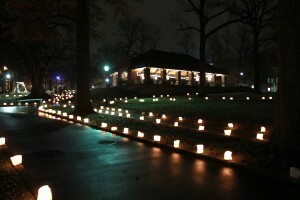 Lindenwood University will hold its annual Christmas Walk on its St. Charles campus from 4 to 7 p.m. on Sunday, Dec. 3. Featuring a variety of holiday sights, sounds, and activities, the event is free and open to the public. 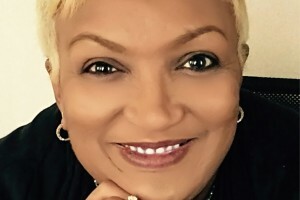 Lindenwood University’s Donna Bradley has been named the outstanding alumna of the year by St. Mary’s Episcopal School in Memphis, Tenn., where she attended middle school and high school. Lindenwood University will hold its inaugural Future Lion Day open house from 9 a.m. until 12:30 p.m. Saturday, Nov. 11. Renowned school and career counseling educator Dr. Norm Gysbers will make a free public appearance at 1 p.m. Nov. 17 at Lindenwood University’s Dunseth Auditorium in Harmon Hall. Lindenwood University’s seventh annual Dark Carnival on Oct. 25, a free event for all ages featuring 89 sponsored booths, was the largest in the event’s history with more than 12,000 visitors. 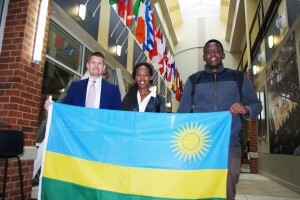 On Thursday, Oct. 12, 2017, Lindenwood University added its 107th international flag, representing the African nation of Rwanda, to the collection lining the Evans Commons corridor. The flags represent the countries of origin for the international student body at Lindenwood. 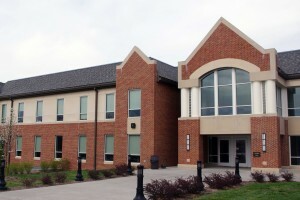 OnlineMBAToday.com named Lindenwood University’s online Master of Business Administration program as one of its 50 best-value programs. Lindenwood ranked No. 35.